The expectations are high: think quickly, but with discernment. Process gobs of information, but don’t become buried in the depth and breadth of possibility. Adapt and be agile, but develop expertise. Somewhere along the way the expectation of being human takes a secondary position. The possibility of Adventure in Everything seems, well, impossible. “Slow down. Breathe. Take your time. We have all day…and after today we have six more days.” It was late in the afternoon, and I was coaching a guest through a technical section of our ascent. A few weeks ago, I was leading seven climbers on an expedition to climb Mt. Kilimanjaro, the tallest mountain in Africa. Standing at 19,341 feet, Mt. 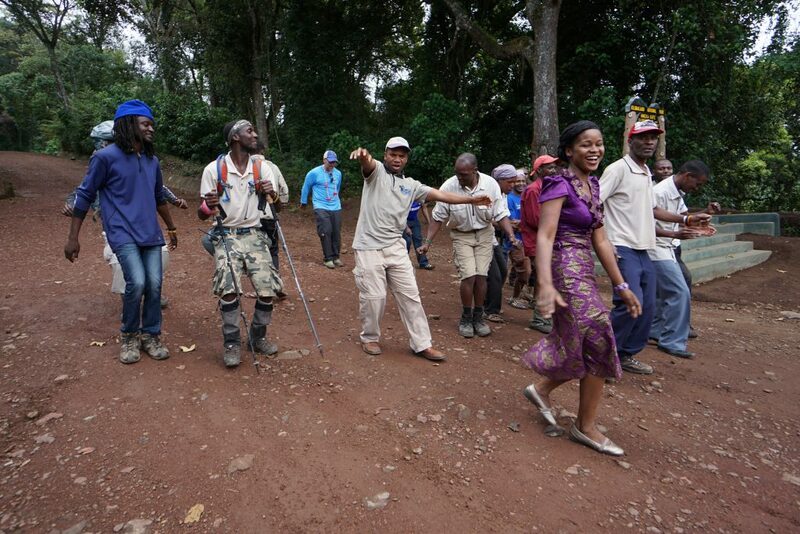 Kilimanjaro is a challenging endeavor that demands your full presence – physically, emotionally, and spiritually. A Tanzanian porter, essential to the success and well-being of our expedition, walked by carrying a heavy load. 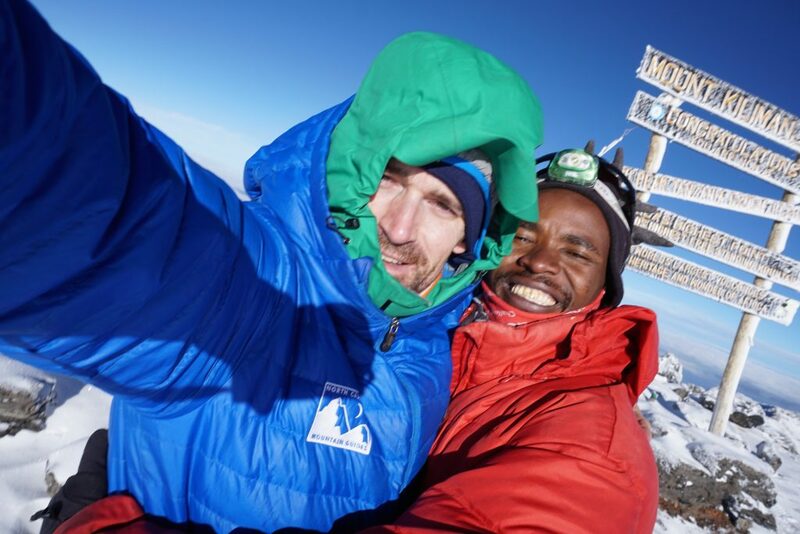 With a beaming smile, the porter sincerely looked in the eyes of my client and said: “Pole Pole.” Pole Pole (pronounced Po-lay Po-lay) is Swahili for slowly, gently, or softly, and is shared daily as the wisdom for a successful ascent of the mountain. Pole Pole. We run our lives at a sprint, reacting and responding to a seemingly never-ending stream of demands and information. Pole Pole. We wanted to take Pole Pole home with us. Our team summited Kilimanjaro under clear and calm skies. The ascent, while beautiful and challenging, went off without a hitch technically: we had a strong team and perfect conditions. At our last camp on our descent off the mountain, we gathered for a final celebration dinner before heading back to town, back to cell phones, back to email and internet, work and family demands. Pole Pole was the topic of discussion. The group was in alignment: we run our lives at a sprint, reacting and responding to a seemingly never-ending stream of demands and information. Pole Pole. We wanted to take Pole Pole home with us. Pole Pole was a gift: a gift of respite, rejuvenation, a feeling of space that gave us physical and emotional peace. The gift of time and presence that we all felt was missing in our full-engagement, 24/7, all-hands-on-deck lives at home. Pole Pole created an opportunity for laughter, camaraderie, and appreciation. Pole Pole. It is the pause at dinner when you share your appreciations for the day. The moments you intentionally set aside your agenda and engage with a child fully, at their speed. Pausing to savor and really taste your coffee. Taking a full breath and appreciating the moment for what it is, not what it could be. Living and being present to those around you – to that moment. Pole Pole. It’s not easy to integrate Pole Pole into our lives. But, the rewards are rich and wonderful. Give yourself, and those around you, the gift of Pole Pole. Practice it today, this hour, this evening. Shift the expectations toward being Human. 1. Write a quick comment or question below. I LOVE seeing those and I’ll write back. 2. Click on a social share button, at the bottom, and let other people know you enjoyed this.